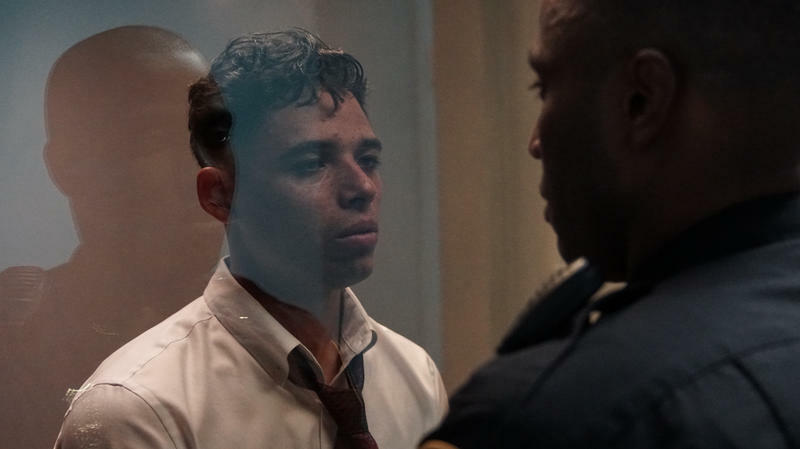 The central event of Monsters and Men is clearly based on the 2014 slaying of Eric Garner by NYPD officers on Staten Island, although writer-director Reinaldo Marcus Green has altered both the location and the cause of death. Yet the killing of loose-cigarette peddler Big D (Samel Edwards) takes place literally in the background. This evocative drama is most concerned about the aftermath, viewed from three different angles. 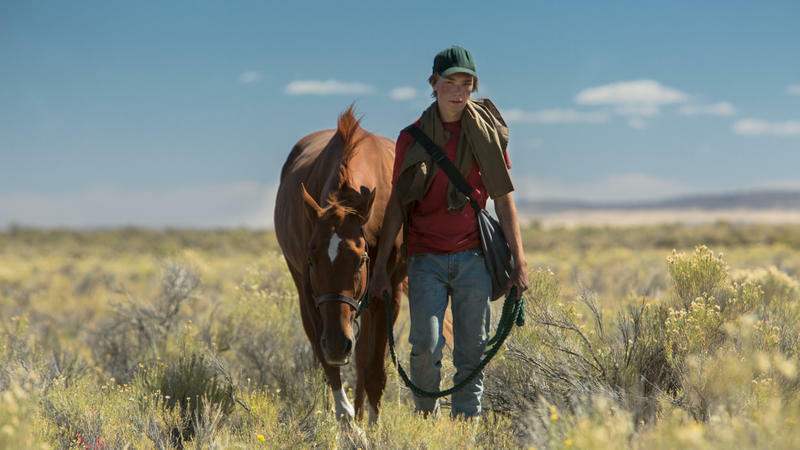 To rescue his kidnapped fiancee, an earnest dandy rides into the wilderness, accompanied by a fake preacher and a miniature horse. 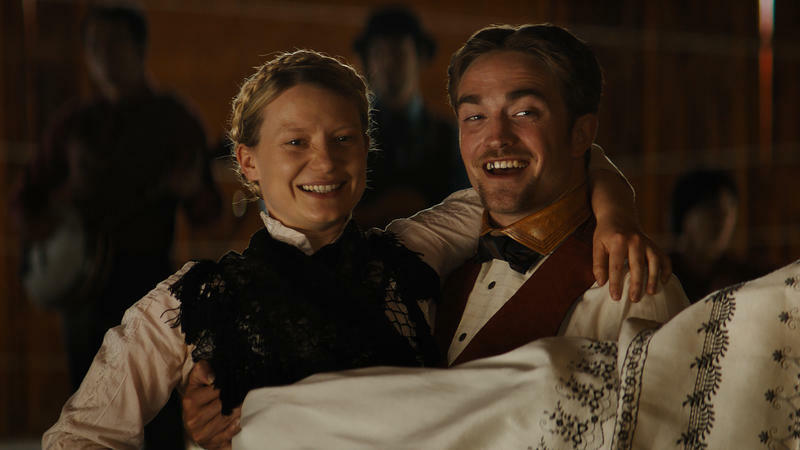 That's the setup for Damsel, a deadpan farce filmed on the rocky Utah turf of classic John Ford Westerns. David and Nathan Zellner are on another cinematic quest. 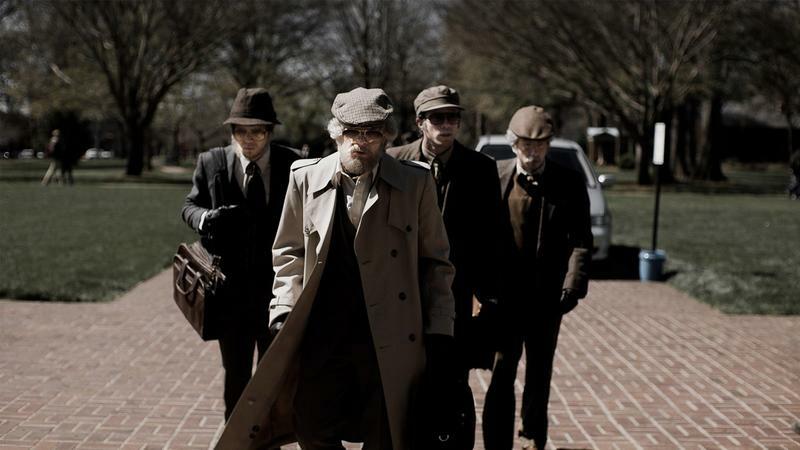 Stuffed with references to classic crime flicks, American Animals is British writer-director Bart Layton's clever and assured bid to rival Stanley Kubrick and Quentin Tarantino. The film is highly self-conscious, but no more so than its real-life antiheroes, a quartet of Kentucky college kids who study The Killing and Reservoir Dogs to plan a heist that turns out to be poorly scripted. Among Isabelle Huppert's many impressively vehement roles are several murderers, a mother who seduces her son, and the abortionist who was the last woman France ever sent to the guillotine. So the first joke of the intriguing but bewilderingly scattered Mrs. Hyde (Madame Hyde) is director Serge Bozon's casting of the anything-goes actress as a shy, awkward schoolteacher. As he announced with The Artist, writer-director Michel Hazanavicius makes movies about movies. 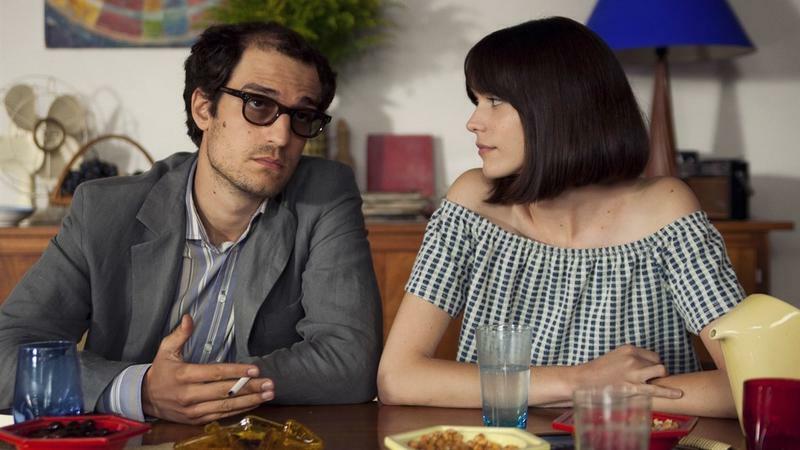 So it was nearly inevitable that he would someday burlesque the work of Jean-Luc Godard, the Franco-Swiss director who virtually invented the meta-film. The result, Godard Mon Amour, is fascinating but not as much fun as the movies its title character made between 1959 and 1966. In 2007, writer-director Tony Gilroy dispatched the protagonist of Michael Clayton, a cynical and corrupt law-firm fixer, to unravel a plot so grubby it made him look clean by comparison. Gilroy pursues the same strategy in the involving if somewhat predictable Beirut, which was directed by Brad Anderson. 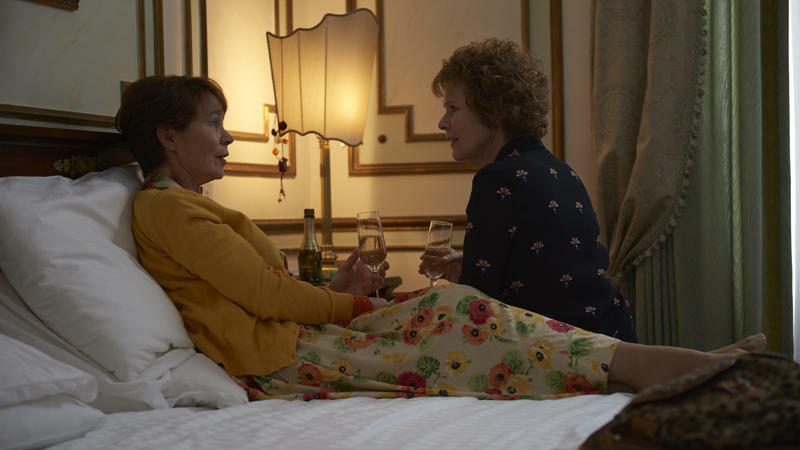 When the 60-ish heroine of the moderately charming Finding Your Feet decides on a change of locale, she doesn't travel to anyplace as warm and colorful as The Best Exotic Marigold Hotel. Yet viewers may think of that dramedy anyway, even though the expatriate merely takes refuge with her older sister in a cluttered apartment in a grungy London public-housing complex. The place is less than alluring, but enchantment is sure to arrive later. 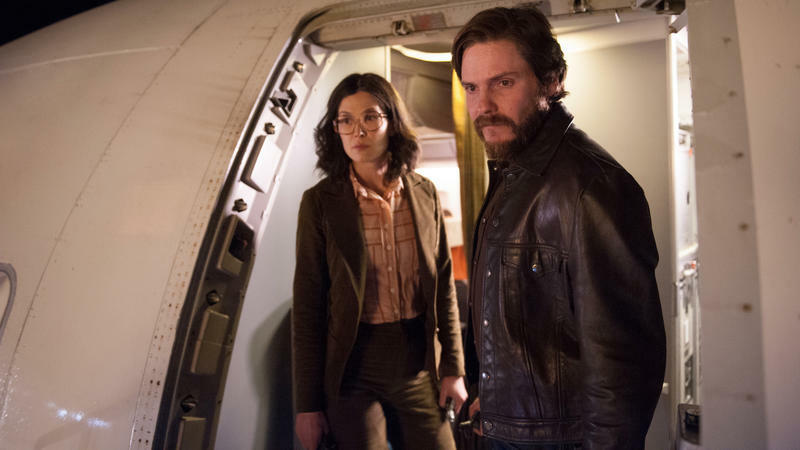 Jose Padilha's 7 Days in Entebbe opens with a galvanizing flurry of activity. But the bustle is not the 1976 airliner hijacking that begins the main story, or the Israeli commando raid that concludes it. The prologue is a modern-dance piece whose relationship to the rest of the movie is puzzlingly tenuous. The distinctions between human and animal, alive and dead, and even mobile and inert are fluid in November, an adult fairy tale that's as earthy as it is lyrical. The movie's central story, a tortured-love triangle, is slight. But the context is fascinating and the visual style bewitching. 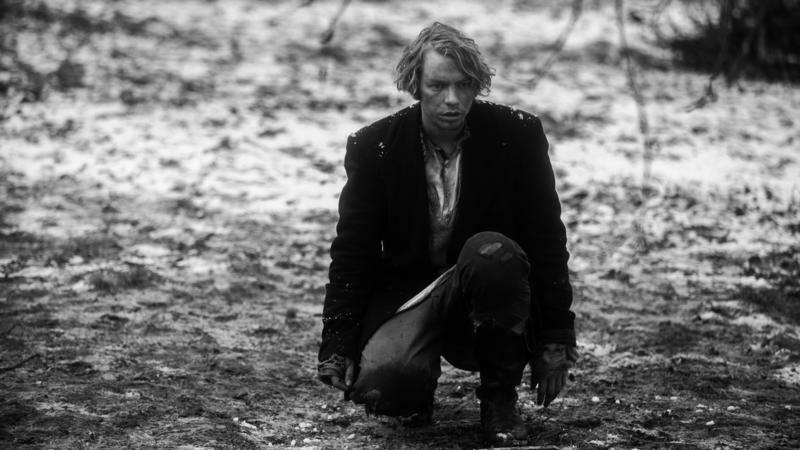 The first characters to enter the silvery black-and-white landscape of the film are a wolf — later revealed to be a shape-shifting human — and a kratt, a creature constructed of farm implements and an animal skull and brought to life by a blood pact with the devil. 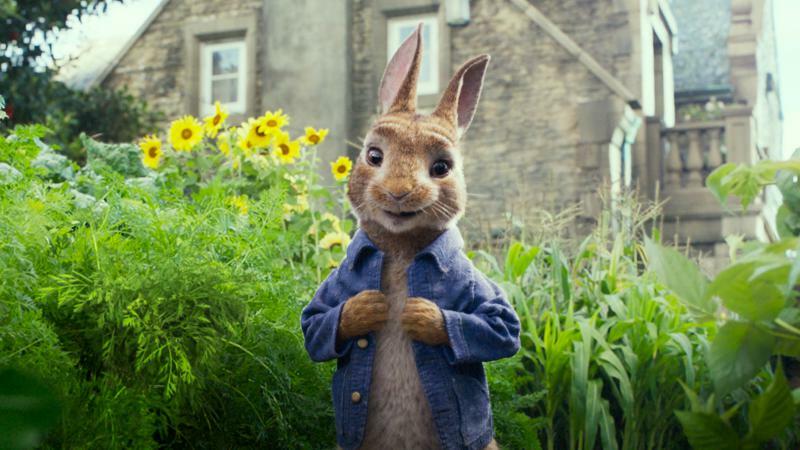 If Beatrix Potter were reborn as dean of students at Lake District U., the latest version of Peter Rabbit would represent her worst nightmare. This frat-bunny comedy is a part-CGI Animal House that revels in theft, gluttony, vandalism, and absurdly destructive pranks. All that's missing is the scene where Flopsy, Mopsy, and Cotton-Tail filch the wrong kind of mushrooms from Mr. McGregor's garden and hop into a bad trip. That query proves even more complicated than usual in Before We Vanish, Japanese director Kiyoshi Kurosawa's engaging if messy, and overstuffed, 20th feature. It's a riff on Invasion of the Body Snatchers that meanders from action to satire to romantic affirmation. In Gritty 'A Ciambra,' A Romani Teen Must Choose: His Friend, Or His Community? The chain-smoking, beer-swilling protagonist of A Ciambra is a one-man crime wave. When his father and older brother are arrested, Pio takes responsibility for supporting his entire Romani-Italian clan by stealing and hustling. Pio is observant, audacious, and quick-witted, yet has a few weaknesses: He can't read, and is terrified of elevators and trains. Also, he's only 14. The first half hour of The Final Year is as pointlessly hectic as one of those action movies that's all incidents and no plot. But gradually documentarian Greg Barker's look at Barack Obama's foreign policy team comes into focus, thanks in large part to the counterpoint played by the Trump campaign.